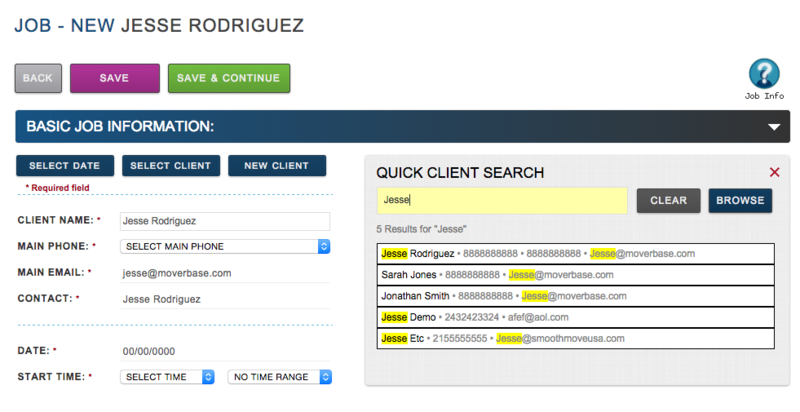 Moverbase is smart enough to know if it looks like you are entering repetitive Client information. Once you have entered their information in the system, it will be saved forever. If you are doing another Job with the same Client, simply search for their name and enter them in.